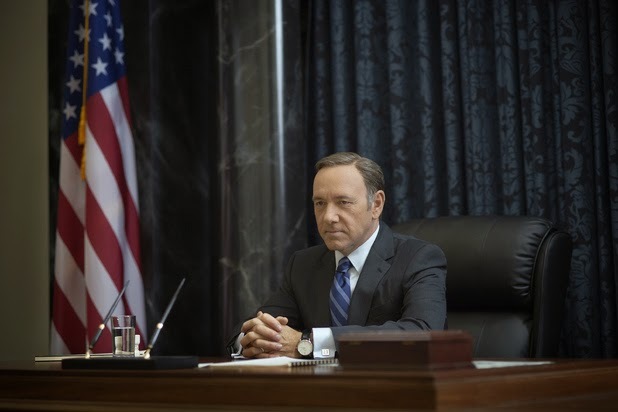 Ergo...my musings by Vivian: Obsessed With House of Cards! 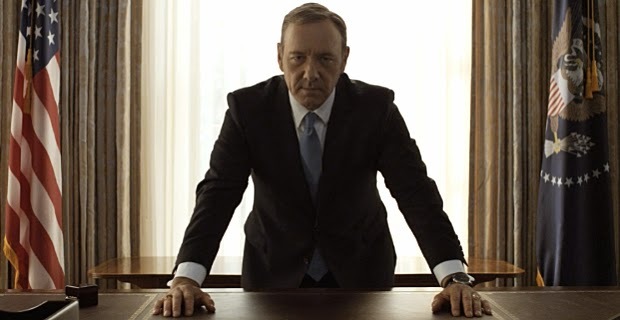 When I first read about the Netflix original series “House of Cards” I was skeptical. In fact, because we are Internet challenged as a result of a remote location, streaming wasn’t “in the cards” so to speak. But, we discovered Verizon Home Fusion and the rest, shall we say, is history. Just like giddy teenagers running amok on texting, we overshot out data plan exponentially in just a few short weeks. Part of the problem was “House of Cards”. 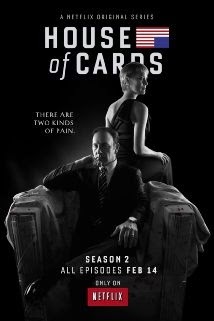 The first episode, albeit intriguing with Kevin Spacey breaking the little doggies’ neck, seemed so-so. But we decided to give it another chance. Before we knew it, we’d become entranced, obsessed, smitten, compelled to keep watching. Perhaps, in part, our inside-the-beltway jobs and physical proximity to Washington overall impacted our interest. Nothing causes one to be more skeptical or disdainful of the machinations of our government than physical proximity. The more convoluted, deceptive, underhanded, distasteful, murderous and corrupt the plot – the more realistic it feels. I do not doubt for one second that similar activities are orchestrated by our esteemed elected officials. Like the fascination of watching a train wreck of the aftermath of a mass tragedy, the narrative draws us in like a tractor beam in a Star Trek episode. We are drawn to the flame like moths. Those of us who were raised on Watergate, Iran Contra, Vince Foster, the Rose Law Firm, White Water, ABSCAM, and the corruption of majority leaders such as Jim Wright expect malfeasance. The fiction is just a substitute for what we accept is reality. In today’s world, politicians are not thought of as altruistic public servants seeking to serve the American people. Instead, they are perceived as self-serving, sycophants seeking personal recognition, wealth and power with no more thought of serving the greater good than Saddam Hussein. Power corrupts. House of Cards gives us a glimpse into what is more than likely a truer vision of our political power base than we feel comfortable acknowledging. But it is fascinating and we must watch and pretend it isn’t real or couldn’t happen. For if we accept that is could be an accurate portrayal of those we elect and send to Washington, how can we the people, who elected them, sleep at night?